" It is hoped that people will switch to public transportation"
The Transjakarta plying corridor 13 service is extended to the Ciledug Central Business District (CBD), Tangerang, Monday (11/12). 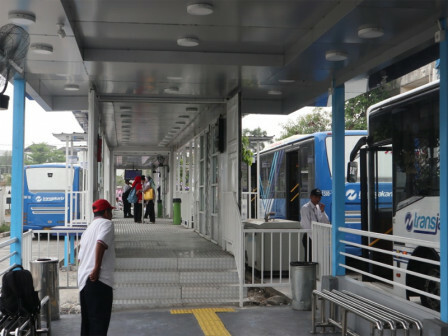 "It is for the expansion of Transjakarta services to the supporting cities of Jakarta," expressed Achmad Izzul Waro, Director of City-owned PT Transjakarta Service and Development, Thursday (11/15). He explained that the Transjakarta corridor 13 services is part of improving the public transport operation in Jakarta Greater. Previously, the bus only touched Puri Beta area or until Puri Beta 2 bus stop. While the route was via an overpass starting from Jalan Ciledug Raya, Pesanggrahan, to Jalan Kapten Tendean, Mampang Prapatan. "It is hoped that people will switch to public transportation," he said.